If you are searching for family-friendly dentists with skillful hands and warm hearts, look no further than Williston General Dentistry, LLC's dentists Drs. Schwiebert and Hoskins and their team of specialized experts! 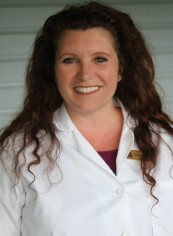 Dr. Schwiebert was born in a rural, very German settlement in NW Ohio and grew up in the small town of Hamler (pop 700). He attended school there and worked on his Granpa's farm and in his Dad's woodworking businrss until he entered the Air force in 1969. He entered training as a Medical Equipment Repairman and was stationed at MacDill AFB, FL for three years. It was there that he decided to go on to college. 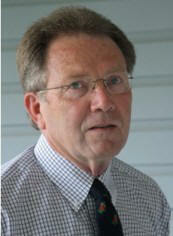 He worked as an X-ray equipment installer while he attended the University of South Florida for the next several years. He was accepted to the College of Dentistry in 1976 and graduated in 1980, He moved immeidatly after graduation to Williston and started his practice. In 1987 he bought and began to remodel the present office building. Nearly everything was done by Dr. Schwiebert and his brother Joel. It took nearly 1 1/2 years to complete. He loves living and working in Williston and Levy county and has been privileged to be "involved" in community affairs. In his time off, he enjoys woodworking and spending time keeping up and adding to their farm. Dr. Debbie Hoskins received her Bachelor of Science degree in Business from the University of Florida College of Business in 2000. After graduation she went on to the University of Florida College of Dentistry where she received her Doctorate of Dentistry in 2003.Since then Dr. Hoskins attended the University of Florida College of Prosthodontics.. Since then she has been an associate at a high quality office which allowed Dr. Hoskins to refine her skills in general dentistry and implants. She continously advances her education by taking courses to advance her skills in prosthodontics. In 2003 she joined Williston General Dentistry in Williston Florida to showcase her passion and skill in providing comprehensive dental care in a relaxed comfortable environment. this allows Dr. Hoskins to be close to her family and give back to the community she was raised in.